Rob plays a variety of classic to current Pop/Rock/Country, mid-tempo, and upbeat hits and favorites of the 60's, 70's, 80's, 90's, and now. Rob Norum performs as a soloist and in The Arrogant Richards Duo with Cameron Miller in addition to The Dave & Rob Show Duo with David Berriman. Rob has proven himself to be a progressive musician who simply reads the crowd and plays the songs they love! Time and again, Rob Norum and his band mates receive compliments from all ages and for all genres in which they play. 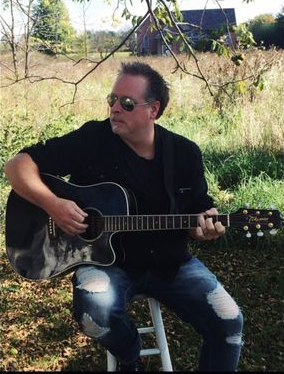 Rob is always adding new and different music to the show as well as writing and playing our own songs, ranging from modern/alternative pop/rock to country. Philip Phillips, Matchbox 20, Prince, Chris Stapleton, Kid Rock, Creedence Clearwater Revival, Eric Church, Toby Keith, Zac Brown Band, Foo Fighters, Jimmy Eat World, Tom Petty, Darius Rucker, Johnny Cash, The Beatles, 4 Non-Blondes, Van Morrison, Keith Urban, Kings Of Leon, Uncle Cracker, The Eagles, Kenny Chesney, Imagine Dragons, John Mellencamp, Bon Jovi, The Goo Goo Dolls, and many others!